Posted December 13, 2018 in Employee tax and tagged W2. Paper W-2 forms will no longer be delivered to University departments effective for 2018 W-2 forms delivered in January 2019. This change is due to the risk of access to personally identifiable information and University efficiency improvements. W-2 forms may be received electronically on the CIS or delivered by mail. There are many benefits to the employee and the University of opting to receive the W-2 form electronically. Please follow the instructions below to take advantage of this opportunity by signing up through the CIS. Sign on to the CIS click here. Click the “Payroll, Taxes and Salary” tile. For employees choosing to receive paper W-2 forms delivered in the mail, the employee’s Home Address in CIS will be used for mailing the paper W-2 forms. It is very important that the Home Address is the current address for delivery of the 2018 W-2 forms in January 2019. If the Home Address is not correct, please change the address immediately using the instructions below. Changing the Home Address after January 14, 2019 may result in an undeliverable or lost W-2 form. Request to reprint W-2 forms will be charged a $12 processing fee. Click the “Change Bio/Demo Information” tile. Click “Change Home/Mailing Addresses” button and enter correct Home Address. Posted September 7, 2018 in Tax Law and tagged moving expenses. As a reminder, all employee moving expenses reimbursed or paid by the University are taxable to the employee effective January 1, 2018 due to the passage of the Tax Cuts and Jobs Act on December 22, 2017. 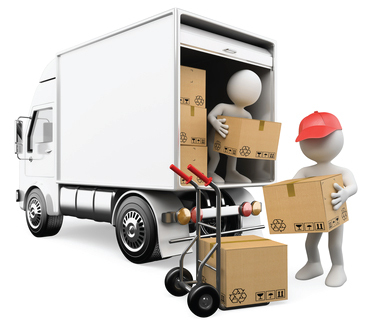 Moving expenses reimbursed or paid will be considered wages for income and employment tax purposes. Reimbursements or payments for employee moving expenses must be reported as wages on Form W‐2 and all applicable withholding taxes will be withheld and reported. Due to the reimbursement processing requirements, there may be a delay between the reimbursement payment and the tax withholding applied to the payment on the employee’s pay check. If you have any questions or concerns, please contact Kelly Peterson, Associate Director, Tax Services and Payroll Accounting at Kelly.Peterson@admin.utah.edu or Scott Patten, Associate Director, Accounts Payable at Scott.Patten@admin.utah.edu. Posted January 12, 2018 in Tax Law and tagged moving expenses. All employee moving expenses reimbursed or paid by the University are now taxable to the employee, as of January 1, 2018 due to the passage of the Tax Cuts and Jobs Act on December 22, 2017. If you have any questions or concerns, please contact Kelly Peterson, Associate Director, Tax Services and Payroll Accounting at Kelly.Peterson@admin.utah.edu. Please be sure to visit the Household Moves page for more information.